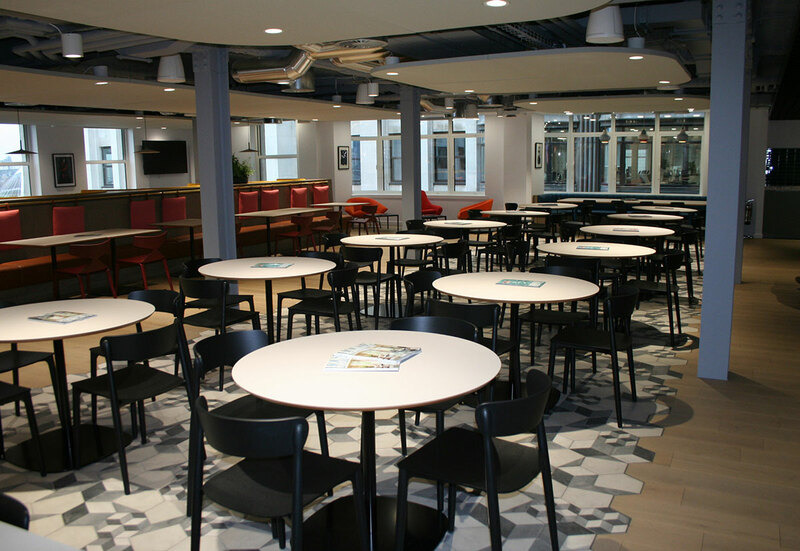 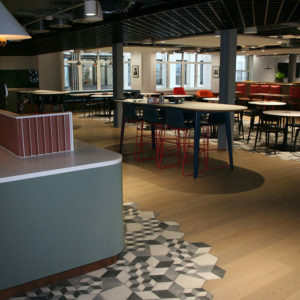 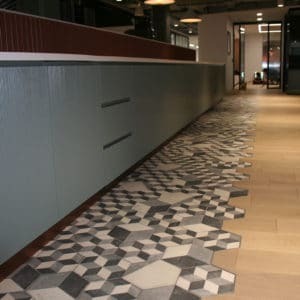 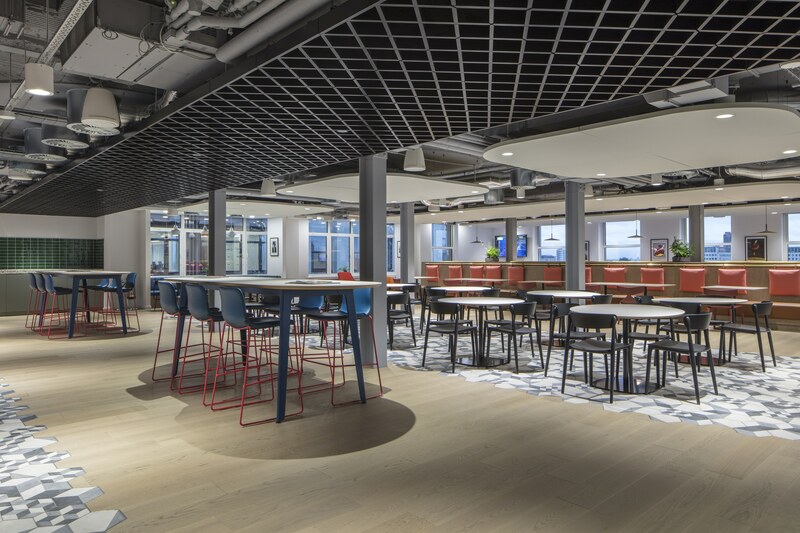 BW instructed Konix to complete designer driven tiling works to floors, walls, and splash-backs in the prestigious Adelphi Building in London for Conde Nast. 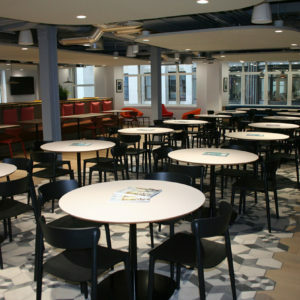 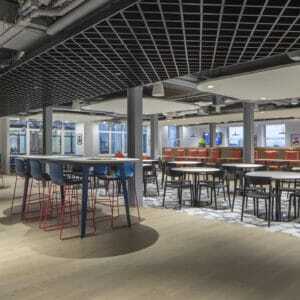 Konix had numerous meetings with the client’s design team and architects to discuss and plan the final required look. 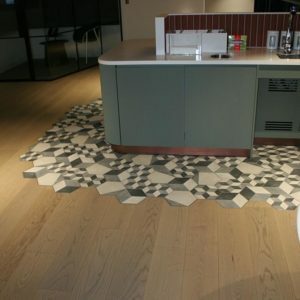 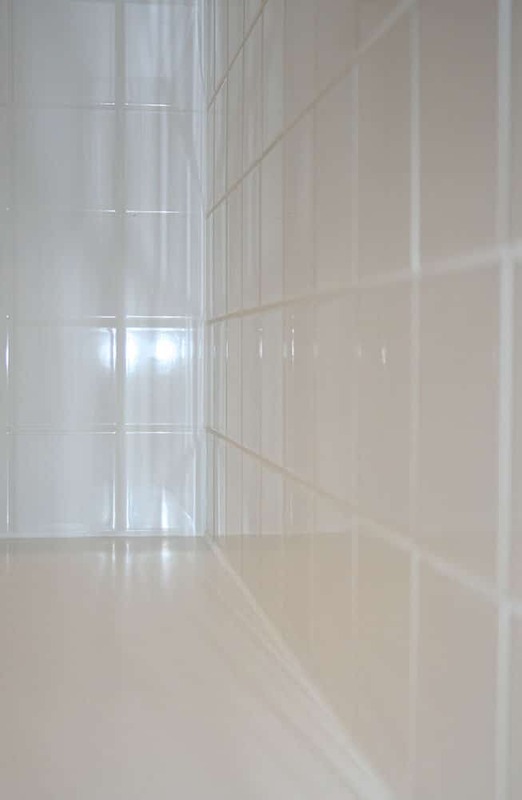 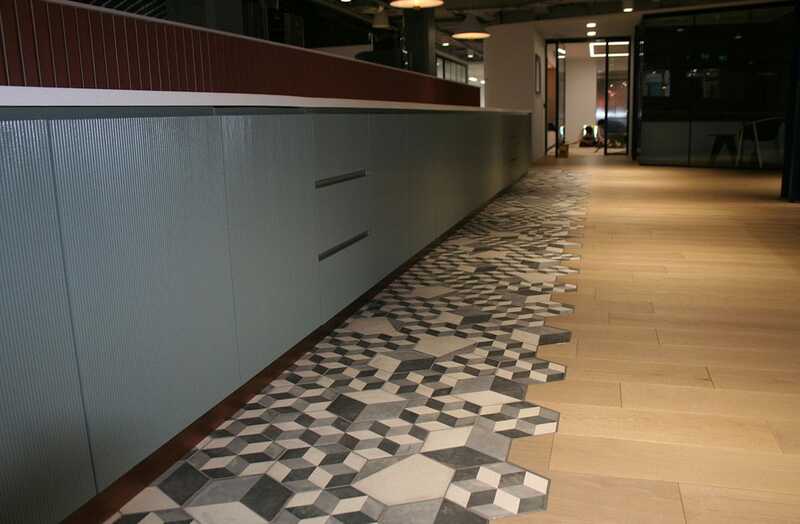 Part of BW’s vision for the project was the application of high-end 3D tiling. 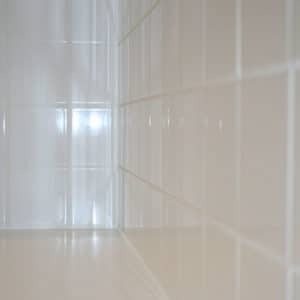 The challenge was tiling around corners to create a seamless wraparound effect. 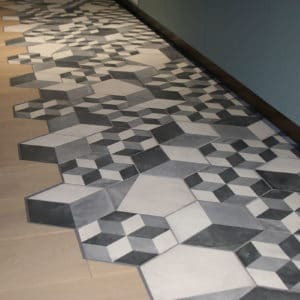 The designer had specified the exact layout of the three different hexagonal pattern tiles, and this could not be compromised. 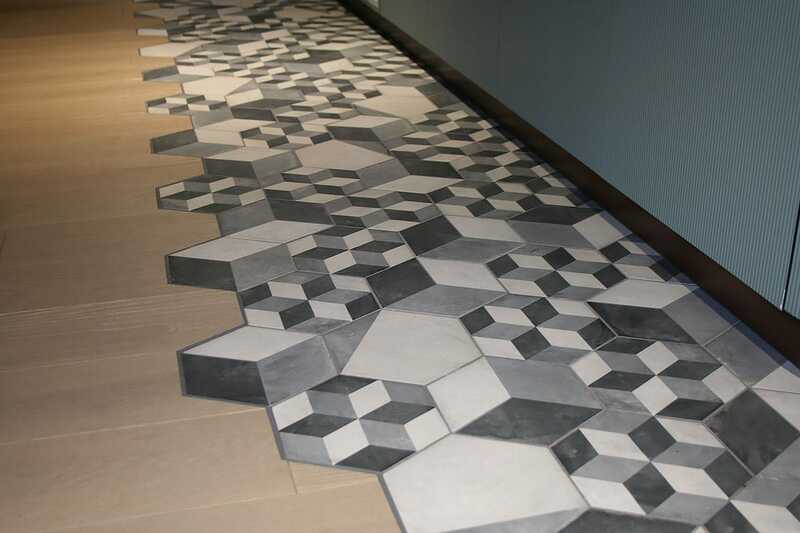 Our team spent time meticulously placing the tiles, making sure they were placed precisely as the designer envisaged. 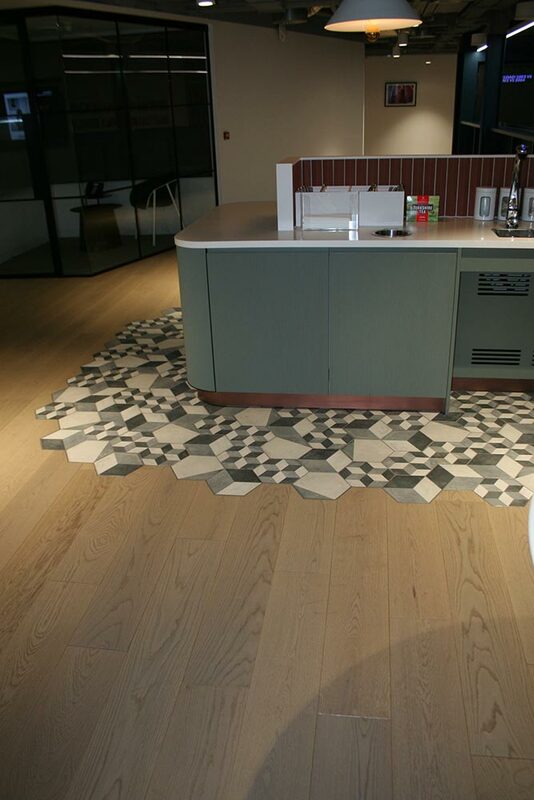 We had to ensure that there was a seamless transition between the hexagonal design tiles and the soft oak timber magnetic floor covering. 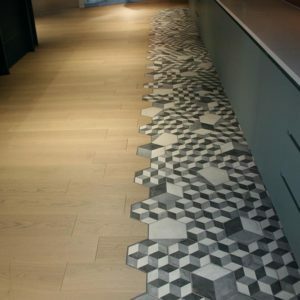 The client’s designers created a bespoke splash-back design to bring together three different tile sizes and finishes. 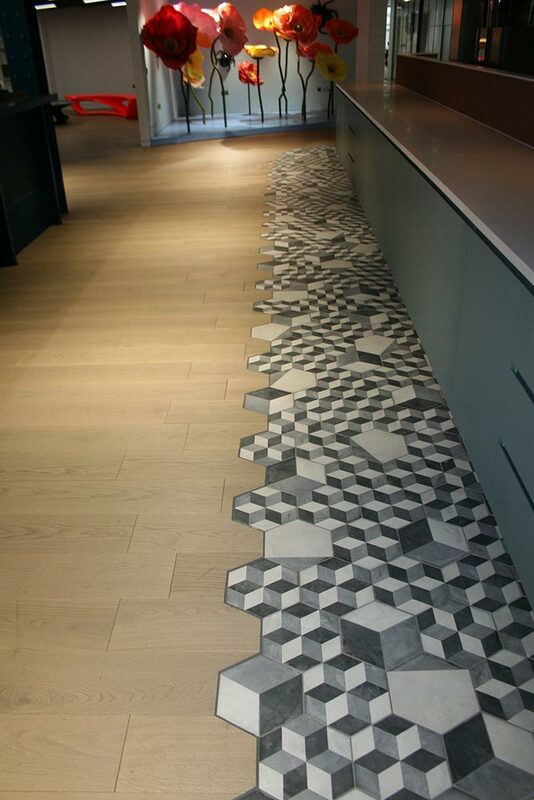 Konix worked with the design and tile variations to match the design plan exactly. 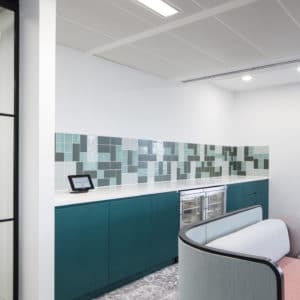 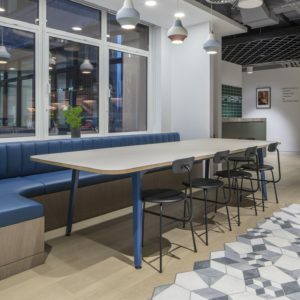 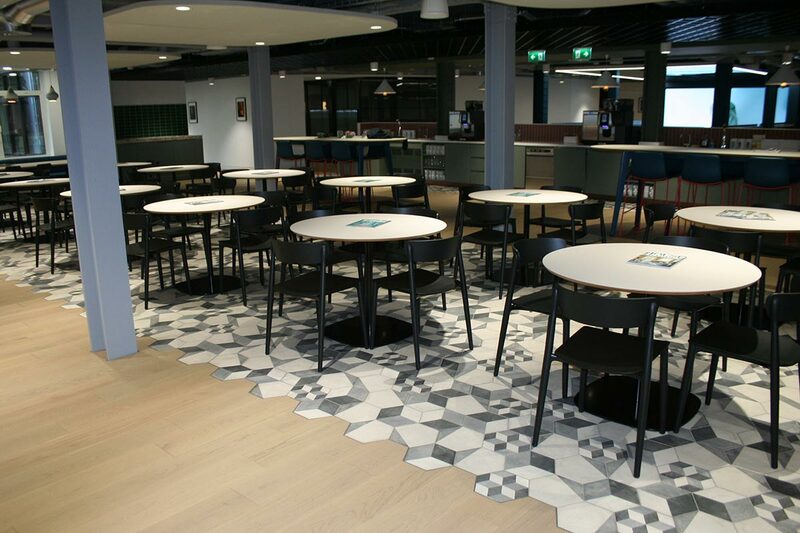 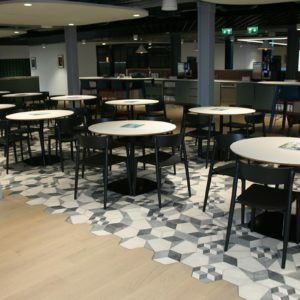 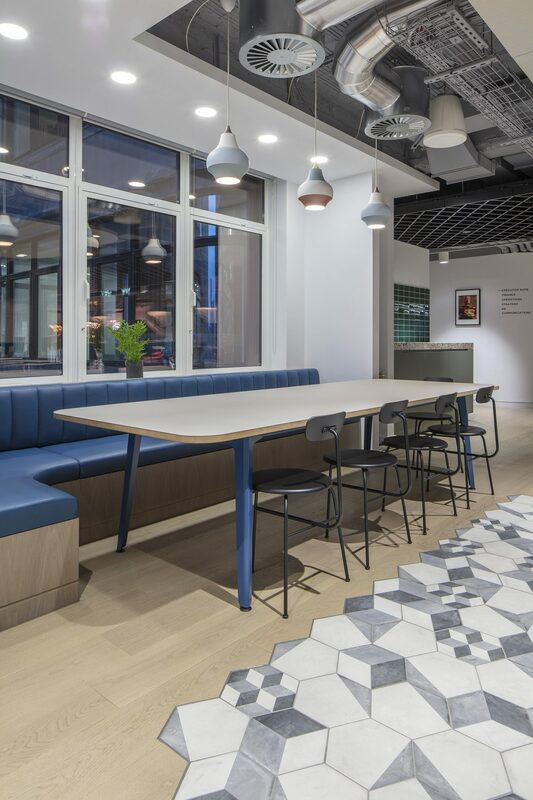 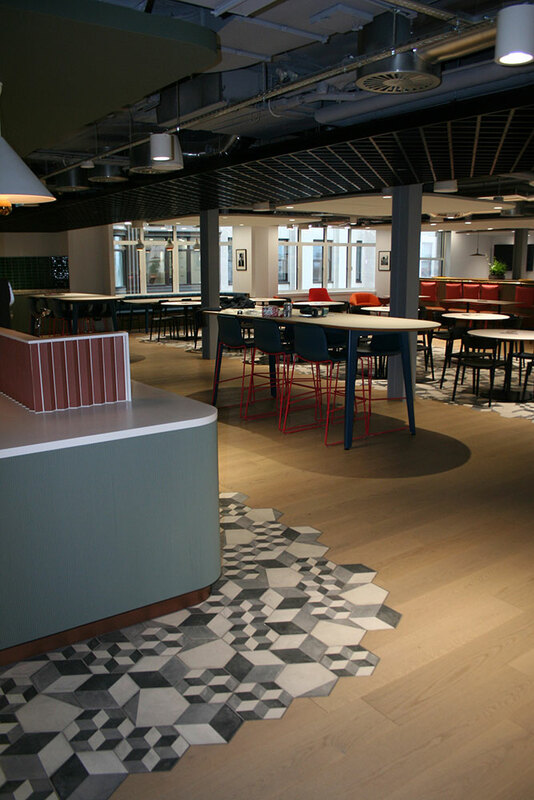 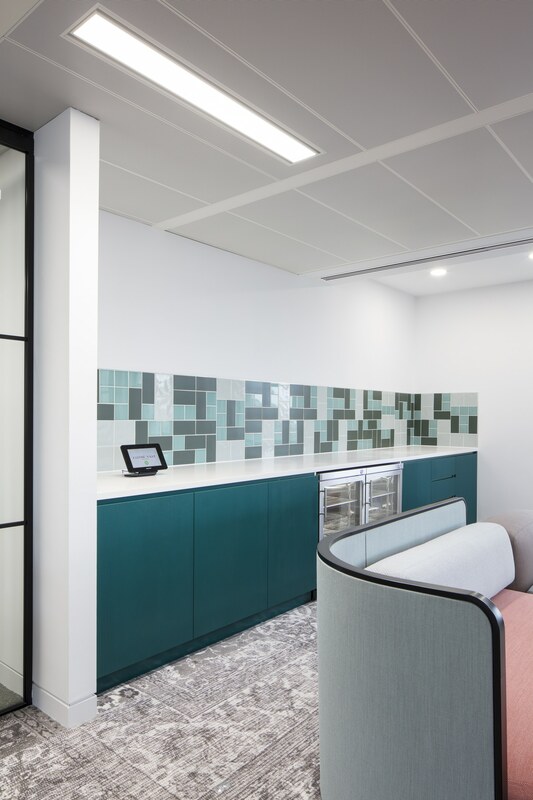 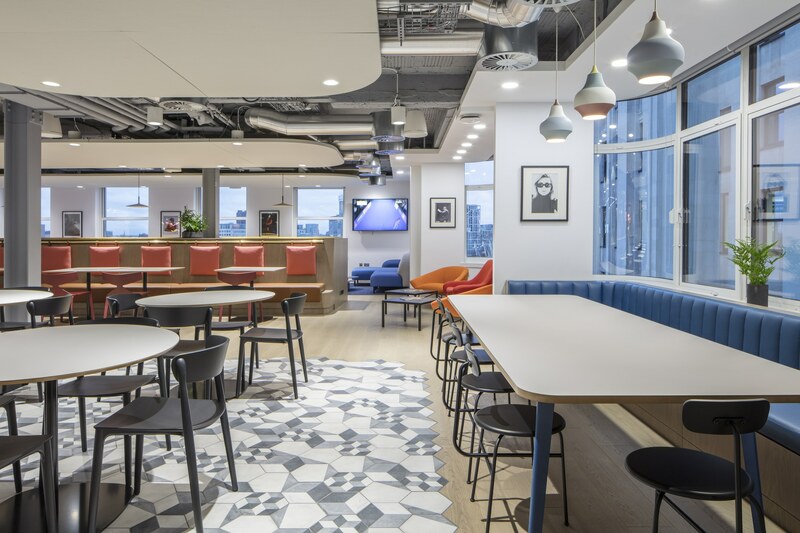 As well as the specialist works undertaken on this project, Konix also completed numerous small format tiled splash-backs to the designers specifications and layouts.